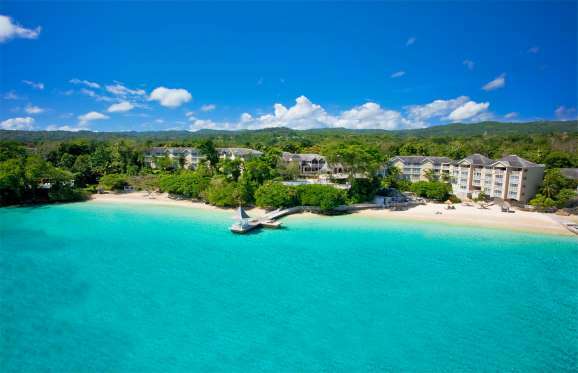 Renowned as one of the best in the world, Negril's seven-mile beach is the main attraction at Beaches Negril Resort & Spa in Jamaica. 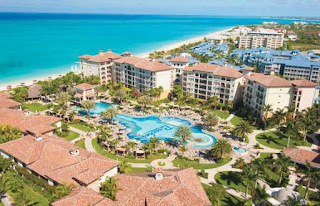 Guests have access to nine specialty restaurants, unlimited premium spirits, a waterpark, water sports, and a scuba diving program that offers unlimited diving. 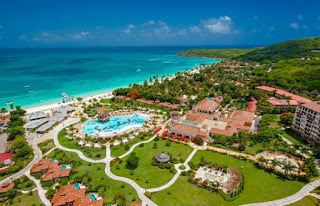 There's fun for the entire family here, with plenty for the kids to do, including a supervised camp, a teens-only game room, and a Caribbean Adventure with Sesame Street. The world's only five-star luxury resort will be re-opening mid-December and is home to Antigua's most protected beach, Dickenson Bay. 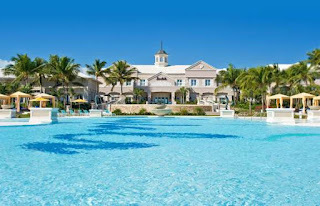 Two separate and distinct villages, Caribbean Grove and Mediterranean Village, make up this resort, giving you a two-for-one experience. 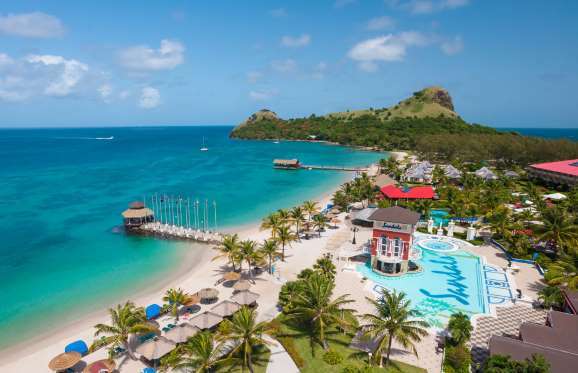 Considering Antigua & Barbuda is the one of the most Instagrammable destinations, this destination is sure to make your friends and family back home envious. 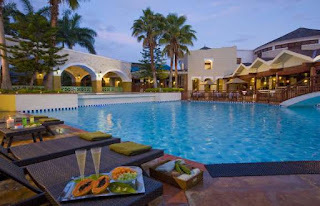 Four villages make up Sandals LaSource Grenada Resort & Spa: Pink Gin, South Seas, Lover's Hideaway, and Italian Village. Each has its own distinct vibe, but all of their guests have access to the resort's three freshwater pools and two river pools. 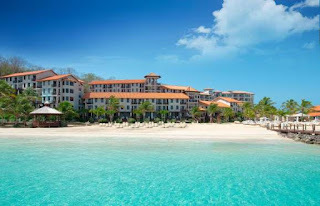 World-class dining is also included at the resort's ten restaurants, one of which is the first Sandals resort steakhouse. The award-winning “Skypool” suites each feature an infinity-edge plunge pool with an awe-inspiring view that makes you feel as if you're suspended in the air. 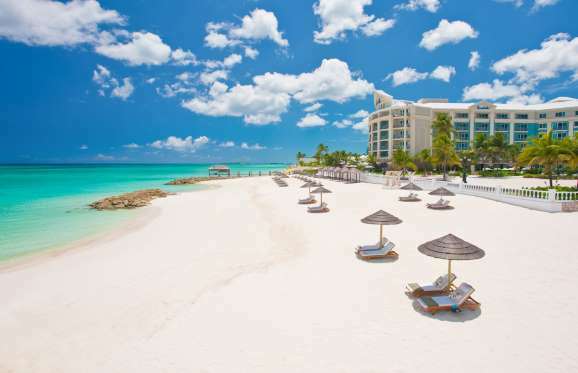 One of the things you must do if you visit Nassau, is stay at the Royal Bahamian Spa Resort & Offshore Island. The former King Edward VIII and his controversial American wife Wallis Simpson, whom he abdicated the English throne for, once frequented this Bahamas resort, known for its elegance and European-style luxury. 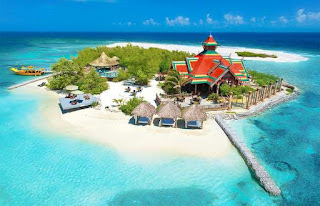 The offshore island here has two exclusive beaches that you can enjoy in various ways depending on whether you'd prefer to relax or explore, as well as a beach club that contains a restaurant, whirlpool, and swim-up bar. 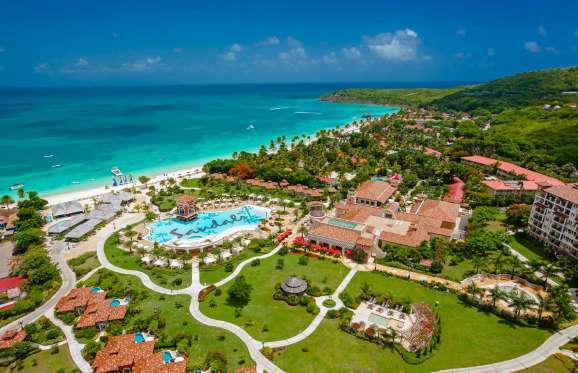 Back on the resort, dive into your choice of seven beautiful pools, two of which are right by the ocean.